The Spirits and Such website is named after Reigen and Mob’s supernatural consultation office from the show. 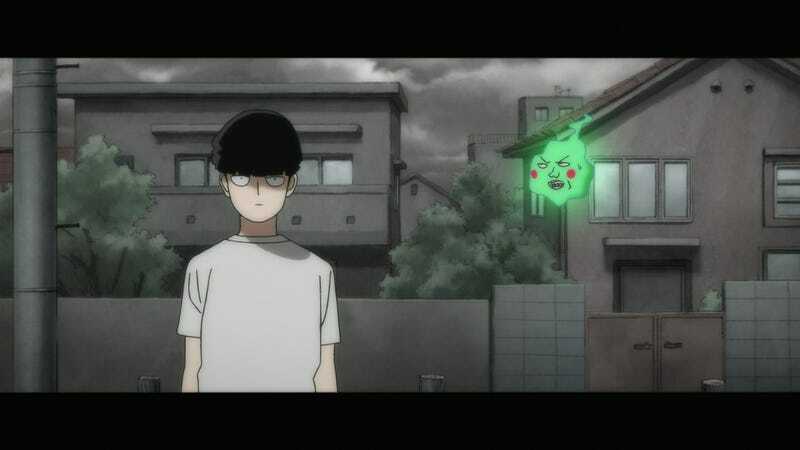 If you haven’t seen it, the gist is that Mob is a shy but powerful psychic, and Reigen is a con man who pretends to have psychic powers in order to make a quick buck. Together, they don’t exactly fight crime, but they do fight a lot of weird spirits. I sent some questions to Crunchyroll’s staff, and they made it clear that as far as they’re concerned, this website is your line to Reigen. Andrea Ramirez does title marketing at Crunchyroll, and also described herself as an “intern at Spirits and Such” (as in, the fictional consultation office). “Have you ever seen Reigen talk?? He’s an incredible guy, he’s really working hard for everyone, so we figured we should too! Spirits and Such was created so people could have easy access to the GREATEST PSYCHIC OF THE 21ST CENTURY—you never know when you’ll need spiritual guidance,” she told Kotaku over email. Ramirez had a lot of compliments for her (fictional) boss. When I asked her what both of these title characters would ask on the Spirits and Such website, her response was just as emphatic.